A review board in Virginia has begun the process of shutting down a suspected “visa-mill” college that placed thousands of low-wage foreign graduates into Americans’ white-collar jobs. Colleges are allowed to get work permits to an unlimited number of fee-paying foreign students and graduates via the federal Optional Practical Training (OPT) program. This huge but little-known OPT program costs the federal government at least $2 billion per year, and it pushes many thousands of American graduates out of good jobs and leaves them with far less money to pay off their college debts. But Virginia International University (VIU) got into trouble by providing sub-standard educational services to its OPT customers, making it seem as if it is a visa-selling business rather than a legitimate university. In 2017, VIU provided 965 foreigners with OPT work permits, according to federal data. SCHEV staff found the quality and content of the online education provided by VIU to be patently deficient. In all, 50 separate cases of plagiarism were detected during the audit. In only two of these cases did students receive a zero for the plagiarized work. None of the other plagiarized work reviewed by the audit team was penalized. [In one class] All four students plagiarized; all received 100% on the assignment. Four final papers reflected students with extremely low levels of English proficiency. In their attempts to hide plagiarism, students substituted synonyms for words in their reports and created strings of nonsensical sentences in the process. Three of these students received final grades of A, one received a C.
SCHEV concludes that the only reasonable recommendation staff can make to Council is revocation of the certificate to operate. The college did not respond to phone calls from Breitbart News. The VIU crackdown comes two months after agents from the Immigration and Customs Enforcement (ICE) agency at the Department of Homeland Security (DHS) announced that more than 100 Indian students signed up for a fake university that offered access to the OPT work permits in exchange for tuition cash. Between 2013 and 2017, ICE recertified about 12,900 schools. However, according to ICE officials, they have been unable to meet the 2-year time frame and, as of June 2018, had 3,281 recertification petitions waiting for review. Corporate pressure has ended a 2017 proposal in DHS to shrink the OPT program. In fact, the U.S. Citizenship and Immigration Services agency announced a plan in March to help OPT students transfer into the H-1B program, which allows workers to get green cards. This corporate support for the OPT program has also reduced Congress’ focus on the OPT program. for example, Congress is unwilling to reward federal agencies for exposing the visa-mill colleges or to help the media expose the middle-class outsourcing industry. The vast majority of VIU students are Asians, including Indians and Chinese. This congressional reluctance to stop the middle-class job theft matches Congress’ tacit opposition to enforcing border laws against the trafficking of Central American laborers into the U.S. blue-collar job market. Overall, DHS does little to curb abuses in the program, said David North, at the Center for Immigration Studies. “It is failing to audit some of these marginal schools, and they deserve to be audited,” he said. In Virginia, the VIU’s operation was defended at the SCHEV meeting by a Democratic state Senator, Chap Petersen. In 2017, roughly 400,000 foreign students were allowed to start U.S. jobs under the OPT program and its pre-graduation cousin, the Curricular Practical Training program (CPT). That is a huge inflow — and is equal to roughly one OPT student for every two Americans who leave college with a skilled degree. Overall, 500,000 OPT and CPT students were allowed to work for at least part of the 2017 fiscal year. The OPT numbers for 2018 are to be released by the end of March 2019. The federal government subsidizes this mass-displacement of Americans by exempting companies from paying Social Security or Medicare taxes for OPT workers. That tax break helps the companies and the foreign workers but annually extracts $2 billion from the Social Security and Medicare funds, said North. 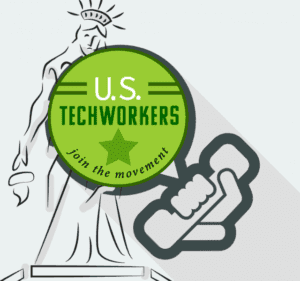 Federal data shows that many OPT workers are hired by prestigious companies, including Amazon, Intel, Google, Deloitte, Microsoft, and Facebook, so denying started jobs to Americans. These companies also hire many H-1B visa workers instead of Americans, and now have a growing share of foreign-born managers. Many OPTs are also hired by little-known companies, such as Integra Technologies, XCG Design Corp., and Findream LLC. These three companies keep a low profile on the Internet, but LinkedIn shows they have a remarkably high proportion of young Chinese employees. Job sites, such as Glassdoor, show the companies are high-pressure employers. The OPT trafficking generates huge income for prestigious universities and fly-by-night colleges, largely because foreign students will pay high tuition prices to win the OPT work permits. The top five universities in the OPT business are New York University, Northwestern Polytechnic University, the University of Southern California, Columbia University, and Northeastern University, all of whom benefit from various federal tax breaks. But many regional universities, such as the University of Central Missouri, earn money from placing foreign workers into the middle-class jobs sought by their own American graduates. The OPT program was never designed or created by Congress. Instead, the middle-class jobs-giveaway was started by agency officials working for former President George W. Bush. It is now facing a lawsuit from the Immigration Reform Law Institute. The OPT program is also an on-ramp to the H-1B program, which keeps at least 650,000 foreign graduates in U.S. professional jobs and provides green cards to roughly 40,000 workers each year. All told, the various OPT, CPT, H-1B, H4EAD, L-1, O-1, L-1, TN, and other programs keep a population of at least 1.5 million foreign graduates in U.S. jobs. More than 65 percent of the 1.5 million-plus foreign workers are from India and are mostly used in lower-skill programming jobs that American graduates need to begin their careers. Many Chinese visa workers are used in banks and financial centers, most of which have vast storehouses of critical information about Americans’ finances. The hidden flood of foreign graduates is helping to push American tech-graduates into non-tech sectors of the economy, so helping to minimize pay raises for U.S. graduates. 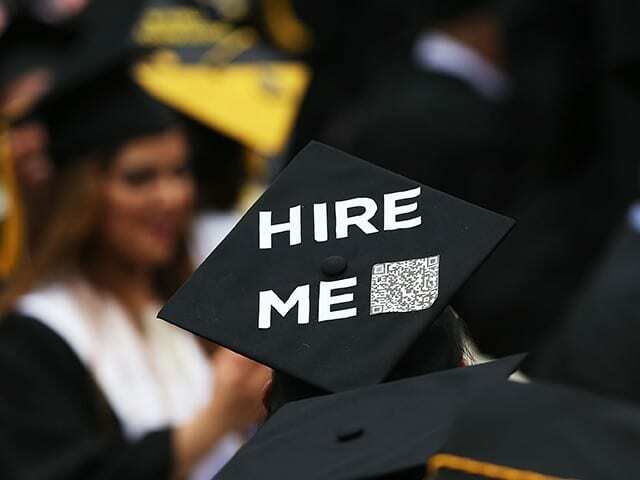 New data shows that mid-career graduates’ salaries rose by only about 2 percent in 2018, far less than the 4 percent gained by blue-collar workers amid a temporary slowdown in migration caused by Trump’s “Hire American” policy. The huge army of foreign workers — roughly equal in size to two years output of skilled U.S. graduates — gets little media exposure. One reason is that many visa workers are quietly hired by prestigious universities and technology companies without any need for advertising or interviews with Americans. Also, very few U.S. reporters write about the economic impact of immigration partly because many major companies have much influence over media outlets. For example, the Washington Post‘s owner is Jeff Bezos, who employed almost 2,400 OPT workers and hired roughly 1,500 H-1B visa workers in 2017. There is no evidence that foreign students participating in the OPT program reduce job opportunities for U.S. workers. Instead, the evidence suggests that U.S. employers are more likely to turn to foreign student workers when U.S. workers are scarcer. But the federal data shows that prestigious companies have hired hundreds of thousands of OPT workers instead of hiring Americans. This cheap labor economic policy forces Americans to compete even for low wage jobs, it widens wealth gaps, reduces high tech investment, increases state and local tax burdens, hurts kids’ schools and college education, pushes Americans away from high-tech careers, and sidelines millions of marginalized Americans, including many who are now struggling with fentanyl addictions.